John Denver fans gather at the memorial each year on the anniversary of his death. He died at the age of 53 when the plane he was piloting crashed off the California coast. 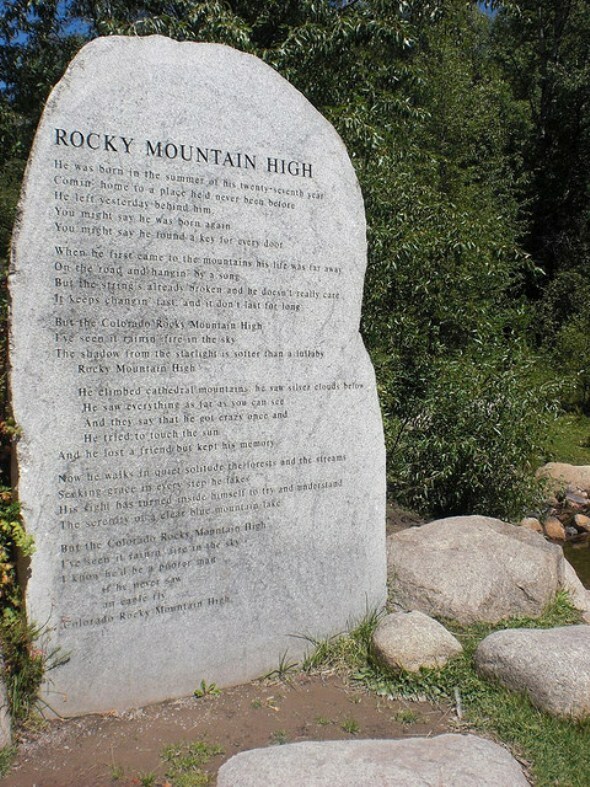 He was named Colorado’s poet laureate in 1974, and “Rocky Mountain High” was designated as one of the state’s official songs in 2007. The memorial is along the Roaring Fork River at the north end of Rio Grande Park. Parking is available in a municipal lot south of the park and behind the Pitkin County Library.